Hey Everyone! 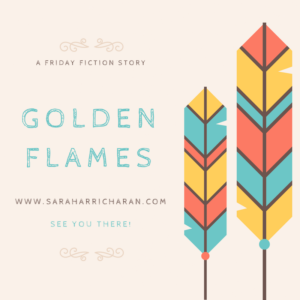 I’m hosting Friday Fiction this week–feel free to jump in and join the fun. Friday Fiction is a weekly story event where writers can share clips from their WIPs or pieces of short fiction. ^_^ To join in the fun, add your story link to the widget below. Stories must be PG-13. Don’t forget to read and comment. Her Adana–grandmother in their native tongue–did not answer right away. She continued to crunch on the tart fruit seeds in the gilded bowl cradled on her lap. She offered the bowl to Carris, when she was finally comfortable on the floor. Carris shuddered. “It’s also devastating. I couldn’t–I couldn’t ever.” She popped the second seed in her mouth and reluctantly bit down. the bitterness wasn’t so bad this time around. She leaned into the touch of her Adana’s weathered hand, stroking her hair. “Nothing left. I know.” Carris said, softly. Hot tears burned at the corners of Carris’ eyes and she choked down the fourth seed, even as her throat began to tighten. She’d known this would happen, but it didn’t make it any easier. Great big heaving sobs wracked her slender frame, as she bawled openly into her grandmother’s lap. It was one thing to realize the words for what they were and another thing, entirely to understand the weight of them in proper context. Adana was right–she knew where she felt wanted. Knew where there was strength, power, beauty and grace. All the right things, there before her, in the light. None of it in the shadow. “I just–it–aughh!” A horrible scream tore from her lips as the first wave of transformation registered. Carris jerked away from the gentle hands soothing her. She scrabbled on the floor, head banging into the dirt as her back began to stretch and bulge. It was a grotesque and uniquely horrifying sequence of stretching, twisting and popping as her true form tore through an ill-equipped frame of her temporary human body. Long, flowing hair that filled the floor of the meditation hut. Glittering, tattoed skin that reflected every star in the visible night sky. Piercing, golden eyes, set in a sharp angular face. Lips drew back and a guttural snarl echoed eerily in the hut. Adana merely set the bowl aside and rose to her full height. There was a twisting, shifting flurry of color, before the bright robes became brilliantly colored feathers of rich pink, gold and sky blue, an accent to her own true form. She cooed softly in answer to Carris’ wary snarl. Confusion registered briefly in those glimmering golden eyes, before Carris accepted the proffered, glittering hand. A/N: Thanks for reading! This was a start to a NaNoWriMo novel that never quite took flight on its own. I thought it was just the right season to dust it off and bring it to life. Carris and her Adana, are dreamweavers, who have the ability to see the potential of everyone around them, but can’t explicitly meddle in their affairs. You’ve been leaving us with quite a few great snippets of characters and stories. I’ve sure missed reading your work. Are your Trial by books available for Kindle? Thanks for reading, Hoomi! 🙂 I’m so glad you enjoyed it. I’ve missed writing for quite some time. I’m easing back into it and I’ve forgotten how much I missed my words. Yes! 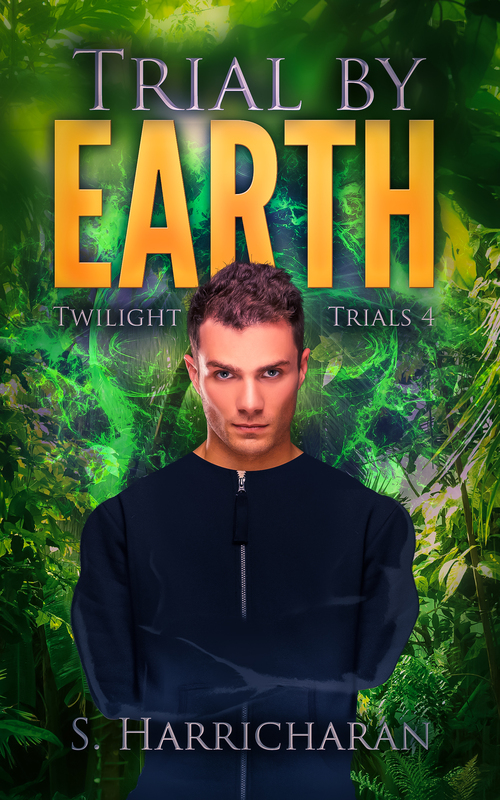 The entire Twilight Trials series is currently available on Kindle, with book 4, being the only one in print. They are loosely written so that you can read them out of order, without missing anything. Book 5 is in edits right now.